She was raised a royal princess, he was raised in the stables. Vashti the daughter of the great Babylonian king, Belshazzar, and Achashverosh the son of Darius the Mede, were a match never meant to be. When Darius assumed the throne after assassinating Belshazzar, however, the new king took pity on the young girl. He spared her life, but insisted that she wed his son, Achashverosh. This is the history of Vashti and Achashverosh according to the Midrash. But Vashti was no sweet innocent victim of her husband’s drunken tantrums. Indeed, the Midrash tells us that Vashti insulted her now royal husband, publicly reminding him that he had once been her father’s stable boy (Talmud Megillah 12b). An alternate Midrash maintains that she wasn’t upset about appearing naked. In fact, she was more than willing to partake in the implied immorality, but she would not, according to tradition, present herself to her husband because she had been suddenly struck with leprosy and refused to be seen in public with the shocking physical blemishes. While her refusal to attend her husband’s party is Vashti’s only scene in the Book of Esther, the Midrash portrays her as a woman who thrived on cruelty and who held a particularly fierce grudge against the Jewish people. “The wicked queen used to bring Jewish girls, strip them naked, and make them work on Shabbat” (Talmud Megillah 12b). Because of this, the Talmud notes, Vashti’s disgrace and fall from power occurred on Shabbat as well. This Treat was last posted on March 22, 2016. Do you have a Hebrew name that’s different than your legal name? The custom of giving children both secular and Hebrew names is not a modern tradition, but rather goes back to ancient times. In fact, it even occurs in the biblical text of the Book of Esther, where scripture states: “And he [Mordechai] brought up Hadassah, that is, Esther” (Esther 2:7). Why does scripture share the fact that Esther, the title character of the Purim story, was also named Hadassah? Jewish tradition asserts that a person’s name is usually connected with a person’s character. The sages therefore looked to understand more about Hadassah/Esther from the meaning of her names. It has been taught: Esther was her proper name. Why then was she called Hadassah? After the designation of the righteous who are called myrtles [hadassim]...Ben ‘Azzai said: Esther was neither too tall nor too short, but of medium size, like a myrtle. Rabbi Joshua ben Korha said: Esther was sallow, but endowed with great charm” (Talmud Megillah 13a). Additionally, the sages note that “Just as a myrtle has a sweet smell and a bitter taste, so too Esther was good and listened (“sweet”) to the righteous Mordechai, and was adverse (“bitter”) to the wicked Haman” (Esther Rabbah 6:5). Rabbi Judah says: Hadassah was her name. Why then was she called Esther? Because she concealed the facts about herself, as it says "Esther did not make known her people or her family." Rabbi Nehemiah (offering an additional reason) says: Hadassah was her name. Why then was she called Esther? All peoples called her so after Istahar (a reference to the planet Venus, alluding to Esther’s beauty) (Talmud Megillah 13a). Be modest in how you present yourself. "Go, gather together all the Jews that are present in Shushan, and fast for me, and neither eat nor drink three days, night or day; I and my maidens will also fast in like manner; and so will I go into the king, which is not according to the law; and if I perish, I perish" (Esther 4:16). So responded Esther to her uncle Mordechai when he requested that she present herself, unbidden, before King Achashverosh. The fast begins at dawn (aloht hashachar)* and ends after nightfall, during which time eating and drinking are prohibited. (Pregnant and nursing women, and others with health restrictions may be exempt from fasting--please consult your rabbi). On Ta'anit Esther, as on other fast days, special prayers are added to the synagogue services:1. Selichot (Penitential Prayers) and Avinu Malkeinu (Our Father, Our King) are recited during the morning and afternoon service. When Ta'anit Esther is observed on the eve of Purim, Avinu Malkeinu is not recited in the afternoon. 2. At the morning and afternoon service, excerpts from Exodus 32 and 34 are read from the Torah. These include the 13 attributes of God's mercy. At the afternoon service only, the Torah reading is followed by a special haftarah for fast days. 3. The Ah'nay'noo prayer, which asks for special forgiveness, is added to the morning and afternoon services by the prayer leader. An individual who is fasting includes Ah'nay'noo in the blessing of Sh'ma Koh'laynu (Hear Our Voices) when saying the afternoon service. *Some people will get up before dawn and have an early morning breakfast (but this is permitted only if a decision to do so is verbally expressed the night before). This Treat is reposted annually before the Fast of Esther. In the last decade, there has been a noted increase in anti-Semitism, especially in Europe. But, attacks against the Jewish people are hardly new. Even the authors of the notorious Protocols of the Elders of Zion, however, were not original in their intentions. Haman demonstrated his knowledge of Jewish texts and then took the quotes out of context in order to create a mythology that the Jews were blood-thirsty. Without question, Haman was a master propagandist. Translation of Midrash Rabbah 7 taken from The Book of Our Heritage by Eliyahu Kitov. This Treat was last posted on March 24, 2016. Try to drink extra water in preparation for the fast. So what exactly is a “megillah”? Shir HaShirim - The Song of Songs - written by King Solomon and read on Passover. Ruth - The Book of Ruth - written by Samuel and read on Shavuot. Eichah - Lamentations - written by Jeremiah and read on Tisha B'Av. Kohelet - Ecclesiastes - also written by King Solomon and read on Sukkot. Esther - The Book of Esther - written by Mordechai and Esther and read on Purim. When preceded with a definite article, however, “the Megillah,” refers specifically to the Book of Esther. Megillat Esther is the only one of the five megillot which one is obligated to read/hear. In fact, on Purim, one should hear it read both at night and during the day. As for the catchy phrase “the whole megillah”--according to WorldWideWords.org, it came into the English vernacular in a variety of forms through its use by Jewish entertainers. The specific wording of “the whole megillah,” however, had its first recorded colloquial usage on Rowan & Martin’s Laugh-In in 1971. Prepare a Mishloach Manot (Gift Basket) for someone with whom you have been at odds. There are some people in this world who always seem to be right in the thick of the action. As described in the Book of Esther, this was Mordechai. It is Mordechai’s niece who is chosen to serve as the new queen. It is Mordechai who overhears a royal assassination plot. It is Mordechai who is the object of Haman’s anger, and it is Mordechai whom the king publicly honors for saving his life. And, finally, it is Mordechai who hears of Haman’s evil decree and protests it publicly. It is obvious from his actions that Mordechai was a brave man, and thus it is not surprising that assorted midrashim (legendary explanations) reveal that even before the events described in the Book of Esther, Mordechai was one of the leaders of the Jewish people in exile. The Book of Esther itself tells us that Mordechai was “a Benjaminite who had been exiled from Jerusalem with the exile that was exiled [by Nebuchadnezzar] with Jeconiah, King of Judah” (Esther 2:6). According to the Talmudic sage Rava, however, Mordechai actually joined the exile voluntarily so that he could remain with the scholars (Megilla 13a). One could assume that he was a youth at the time of the exile, as the events of the Purim story take place at the end of the exile. In the interim, traditional sources record that Mordechai was one of those who joined Ezra and Nechemia in returning to Jerusalem to begin rebuilding the Temple. When the nations who had moved into Judea’s territory quarreled with the Jews, it was Mordechai who was sent back to Shushan to negotiate with the king. It appears that Mordechai remained in Shushan and became one of the members of the Sanhedrin (for which he was required to know 70 languages and was thus able to understand the whispered plotting of Bigthan and Teresh against the king). There are two other interesting biographical facts about Mordechai. He was a descendant of King Saul, the first king of Israel, and, after Haman’s overthrow, he was appointed Prime Minister of Achashverosh’s kingdom. This Treat was last posted on March 3, 2015. Those who first hear about the custom of wearing Purim costumes might assume that the tradition began as an imitation of Halloween. Research, however, places the origin of Halloween costumes in the 18th century, while Purim disguises are mentioned in rabbinic texts as far back as the 13th century. Masks and disguises are a popular means of expressing some of the most important themes of Purim. For instance, “Ve'na'haphoch Hoo," "and it was reversed" (Esther 9:1)--on Purim we celebrate the idea that what one perceives as reality can easily be reversed. This theme is also one of the sources for the custom of drinking on Purim. The Talmud states that “One must drink [on Purim] until one does not know the difference between ‘Cursed be Haman’ and ‘Blessed be Mordechai’” (Megillah 7b); disguising one’s self is another means of creating this same effect. A second important theme of Purim related to the custom of wearing masks/costumes is hester panim. Hester panim refers to the idea that God conceals His involvement in human affairs. God is not mentioned even once in the Book of Esther, yet it is clearly Divine providence that determines events. This is hester panim, when God “hides” Himself from the world so that we can only see hints of His Divine plan. So too, on Purim, our true selves are hidden behind masks. Although some people wear Halloween left-overs (Purim shopping begins November 1! ), the characters of the Purim story are perennial favorites. (Of course, it doesn’t hurt that there are two queens--Esther and Vashti). This Treat is reposted annually in honor of Purim. Never underestimate your ability to help your people. This Shabbat is Shabbat Parashat Zachor, the Sabbath of Remembering. The Torah portion that is read as the Maftir (additional) portion, after the conclusion of the regular weekly Torah reading, commands the Jewish people to remember that the nation of Amalek attacked our weak, tired and elderly shortly after the Jews crossed the Red Sea (Deuteronomy 25:17-19). Therefore, there is a mitzvah to destroy Amalek. Parashat Zachor is always read on the Shabbat before Purim. The Amalekites traveled many miles in order to attack the Jewish people from behind, attacking the weak and the stragglers. Miraculously, the Jewish people defeated the Amalekites in a one day war. This attack underscored the evil character of the Amalekites. God had just performed great miracles for the Israelites and no nation dared attack them, except Amalek, who hit them from the rear. The nation of Amalek is known for its all-consuming love of self, and reliance on violence to prove its superiority. The Midrash (Sifrei 296) tells us that the wording in Deuteronomy 25:18, "Asher kar'cha ba'derech," literally means that Amalek "happened" upon the Jews. This, the rabbis explain, is a description of the personality of Amalek: Amalek represents the belief in chance, of the haphazard dictates of "fate," which opposes the Jewish belief in Divine providence. Amalek's philosophy negates the concept that there is a purpose to humanity or to creation itself--again the antithesis of Jewish philosophy. Parashat Zachor is read on the Shabbat before Purim because Haman was a direct descendant of Amalek. Like his forefathers, Haman was the archenemy of the Jews. He wanted to wipe them out. Neither begging, bribery nor debate would have changed Haman's mind because the Jewish nation represented a spiritual force which he abhorred. This Treat is reposted annually on the Friday of Parashat Zachor. What is the connection between the holiday of Purim and Havdalah, the ceremonial conclusion of Shabbat? The simple answer is the single verse from the Book of Esther that is recited by the officiant during Havdalah: “La’yehudeem hayetah orah v’simcha v’sason v’yikar; And for the Jews there was light, happiness, joy and honor” (Esther 8:16). Not only is this verse recited as part of Havdalah, but, both on Purim and on Saturday night, it is customary for the verse to be recited both by the reader/reciter and by the people listening. "There was a certain Jew in Shushan the castle, whose name was Mordecai the son of Jair the son of Shimei the son of Kish, a Benjamite"(2:5). "And Mordecai went forth from the presence of the king in royal apparel of blue and white, and with a great crown of gold, and with a robe of fine linen and purple; and the city of Shushan shouted and was glad" (8:15). "For Mordecai the Jew was next unto king Achashverosh, and great among the Jews, and accepted of the multitude of his brethren; seeking the good of his people and speaking peace to all his seed"(10:3). The origin of the custom for pausing during the Havdalah ceremony to allow all present to recite this line from the Book of Esther is unclear. However, it is likely that this custom was a cross-over from the custom of reciting it aloud during the reading of the Megillah. Make an effort to hear the portion of Zachor read in synagogue this Shabbat. Megillah Reading - Book of Esther - The Megillah is read twice on Purim, once at night and once during the day. In order to properly fulfill the mitzvah of Megillah, it is necessary to hear every word during the reading. For this reason it is imperative that people not speak during the Megillah reading. Mishloach Manot/Shalach Manos - Sending Gifts - On Purim day, every Jew should give at least one Mishloach Manot gift containing at least two different types of ready-to-eat food items. Matanot La'evyonim - Gifts to the Poor - Giving to the poor is a mitzvah all year round. However, the mitzvah to do so on Purim is in addition to the general mitzvah of tzedakah (charity). To properly fulfill the mitzvah of Matanot La'evyonim one must give to two poor individuals. Although one may fulfill this mitzvah by giving a minimal amount of money to each person, the sages noted that the highest form of fulfilling this mitzvah is by giving enough money for a meal, or the equivalent in food. This mitzvah may be fulfilled by donating beforehand to an organization that will distribute the money or food on Purim day. Seudah - Festive Meal - One should partake in a festive meal on Purim day. The minimum to fulfill this mitzvah requires that one ritually wash one's hands (netillat yadayim), eat bread and then recite the Birkat Hamazon, the Grace after Meals. The Purim seudah is often associated with drinking, and people cite the reason for this as the Talmudic quote: "A person should drink on Purim up to the point where they cannot tell the difference between 'Blessed is Mordechai' and 'Cursed is Haman.'" (Megillah 7a and Shulchan Aruch--Code of Jewish Law) - which is sometimes interpreted as drinking more than one usually does or enough to make one sleepy. 1-Do not drink and drive. Although noisemakers are not mentioned in the Book of Esther, they are one of the items most frequently associated with the holiday of Purim. Most English speakers refer to these noisemakers as groggers (also spelled graggers), and they can best be defined as the musical instrument known as a ratchet. In modern Hebrew, a noisemaker is called a ra’ashan. As implied by the Yiddish origin of the word grogger, these noisemakers are of Ashkenazi origin, although they have, with few exceptions, become common in most Purim celebrations. It is not clear when the grogger in its current form became popular, but it appears to be a derivative of the custom noted by Rabbi Moshe Isserles (16th century Poland) of writing the name Haman on two smooth pieces of wood or stone and banging them against each other until the name was no longer legible. 1) After saying Haman’s name, the phrase Yimach Shemo, His name should be erased, is stated. 2) Writing the name Haman on the bottom of one’s shoe and stamping out his name. It should be noted that many Sephardi, Mizrachi and Yemenite synagogues do not permit noisemaking during Megillah reading itself as they consider it a violation of appropriate decorum. In those synagogues where noisemakers are permitted, it is important that the noise end on cue, so that the Megillah reading may continue in a fashion in which all congregants will be able to hear each word of the reading.This Treat is reposted in honor of Purim. Begin preparing for the upcoming holiday of Purim by contacting your local synagogue for the times of Megillah reading. Competing for artistic and athletic mastery on ice has been part of the fun of winter long before the Winter Olympics, and Jews have often taken part in the joy of ice skating. In fact, Louis Rubenstein, called “The Father of Canadian Figure Skating,” was one of the first to incorporate dance-like movements to the act of making figures on ice. Today’s Jewish Treat presents a brief glimpse at some early Jewish figure skating champions. According to many commentaries, the winner of the 1908 Olympic gold might have been Lily Kronberger (1890-1974), had she competed. Although she did not compete in the Olympics, the Budapest born skater had an incredible career. She won bronze in 1906, at the first World Championship to include women, and again in 1907. In 1908, although not in the Olympics, she not only became the official Hungarian champion, but claimed the first of four successive Gold Medals at the World Championship. Kronberger is also noted for being the first competitive skater in figure skating history to choreograph her routine to music (she brought her own brass band) and to express emotion. Other great Jewish skaters were Laszlo Szollas (1907 - 1980) and Emilia Rotter (1906 - 2003) who, at both the 1932 and 1936 Winter Olympics, were awarded the Bronze Medal for pairs skating. The Hungarian skaters were also World Champions in 1931, 1933, 1934 and 1935 (with silver in 1932). Little is known about the fate of Lily Kronberger and Emilia Rotter during World War II other than that they survived. Szollas entered the military and fought against the Soviet Union. He was captured and spent four years in Siberia as a Prisoner of War. Szollas went on to attend medical school and became a Sports Medicine Doctor. Lily Kronberger was inducted into the International Jewish Sports Hall of Fame in 1983, as was Emilia Rotter in 1995. Take time out of your schedule to check on people you know who are going through challenging times. Perhaps you are familiar with the Hebrew term “ger,” derived from the Hebrew term “lagoor” - to dwell or sojourn. While ger is often translated as stranger, it is also the Hebrew term for a convert, one who chooses to become a part of the Jewish people. Because a convert chooses to join the People of Israel both physically and spiritually, the longer term ger tzedek, righteous convert, is often used as well. Any [Gentile] who takes upon himself in the presence of three mitzvah observant people not to worship idols. Such is the statement of Rabbi Meir; but the Sages declare: Any [Gentile] who takes upon himself the seven precepts which the sons of Noah undertook; and still others maintain: ...A proselyte who eats of animals not ritually slaughtered, i.e., he took upon himself to observe all the precepts mentioned in the Torah apart from the prohibition of [eating the flesh of] animals not ritually slaughtered (Talmud Avodah Zarah 64b). The topic of today’s Jewish Treat was inspired by the United Nations designated World Day of Social Justice (February 20). It is fascinating to note how the topic of foreigners dwelling among the Children of Israel is already dealt with even in the Torah. The “resident alien” (ger toshav) is mentioned at least seven times in the Torah, sometimes stating things he may not partake in (like the Passover offering), but other times referring to the ways in which his rights must be respected (for instance in the right to use a city of refuge). In other words, newcomers were welcome, and protected, upon the understanding that the newcomers would respect the Torah as the law of the land. When you have a new neighbor, help them feel welcome. 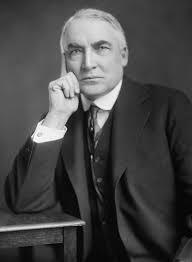 In honor of President’s Day, Jewish Treats presents a quick look at the relationship of President Warren Harding (1865 - 1923) and the Jews. The establishment in Palestine of a national home for the Jews, it being clearly understood that nothing shall be done which should prejudice civil and religious rights of Christians and all other non-Jewish communities in Palestine, and that the holy places and religious buildings and cites in Palestine shall be adequately protected. If you hold a leadership position in any type of organization, put your heart into making it the best it can be. The month of Adar begins today. About Adar, the twelfth month of the Jewish calendar year, the Talmud (Ta’anith 29a) states: “Mee'sheh'nichnas Adar, marbin b'simchah," With the beginning of Adar, rejoicing is increased. One might think that this increase in joy is because Adar is the first month of spring. While winter is not completely gone, it is certainly on its way out. That may be enough reason for others to rejoice, but the Jews have the wonderful holiday of Purim to make our spirits joyful. Celebrated on the 14th day of the month of Adar,* Purim is the holiday that commemorates good overcoming evil. In a nutshell, the story of Purim revolves around the plot, launched in the year 518 BCE by Haman (the wicked viceroy of the Persian-Median King Achashverosh), to kill all the Jews in Achashverosh’s kingdom. Haman’s hatred of the Jews reached a psychotic level when Mordechai, the leader of the Jewish community, refused to bow to him. Haman requested and was granted permission by Achashverosh to issue a decree calling for the death of all the Jews. Haman, however, was unaware that Achashverosh’s new queen, Esther, was actually Jewish and was Mordechai’s niece. With significant courage (and tremendous faith in God), Esther revealed Haman’s wicked plot to the king, thus saving the Jewish people. In celebration of their salvation, the Jews feasted, gave charity and exchanged gift baskets with each other. They celebrated being alive with tremendous joy and rejoiced at being part of a wonderful nation. It is the energy of their joy that permeates the entire month of Adar so that even now, 2,500 years later, when Adar begins, rejoicing is increased. * Some ancient walled cities, such as Jerusalem, celebrate on the 15th of Adar. This Treat was originally posted on Tuesday, February 24, 2012. Have a Shabbat full of Adar joy! Are you familiar with Aesop’s Fable of “The Ant and the Grasshopper”? It’s a morality tale about hard work and planning ahead, and it might just have you picturing the original version of Disney’s Jiminy Cricket. But the moral of Aesop’s Fable is actually one that can be found in one of Judaism’s ancient texts, The Book of Proverbs, that is attributed to King Solomon. Lazybones, go to the ant; Study its ways and learn. It lays up its stores during the summer, Gathers in its food at the harvest. How long will you lie there, lazybones; When will you wake from your sleep? And poverty will come calling upon you, And want, like a man with a shield. Quite obviously, this set of verses can speak to every person about the importance of diligence, hard work and not procrastinating. (Indeed, it would not be surprising if this verse were quoted to not a few difficult-to-rouse teenagers.) Wise as this advice may be for practical living, the words of the Tanach (24 books of the Bible) are meant to provide spiritual guidance. Very often people postpone spiritual matters for later. In their youth, they are concerned about immediate results and in their early adulthood they are focused on the everyday business of earning a living. These verses serve as a warning not to neglect one’s spiritual needs. Just as an ant gathers its nourishment and stores it over time, so too must people gather their mitzvot and increase their Torah knowledge throughout their lifetimes. When you find a topic of interest through Jewish Treats or another Jewish education source, take the time to explore it further. When exercising, think about the fact that you are fulfilling the mitzvah of guarding one's being. While the Biblical canon has many stories of redemption and miracles, it also records narratives that demonstrate the true struggles of real people. Real people know of the commonly heard lament that raising children isn’t easy, and that certain children are more difficult than others. Such were the sons of Eli, the High Priest who served in the Mishkan (Tabernacle) in Shilo in the years just before and after the birth of the Prophet Samuel. The sons’ names were Hophni and Pinchas. Now Eli was very old. When he heard all that his sons were doing to all Israel and how they had illicit relations with the women who performed tasks at the entrance to the Tent of Meeting, he said to them, “Why do you do such things? I get evil reports about you from the people on all hands. Don’t, my sons! It is no favorable report I hear the people of the Lord spreading about. If a man sins against a man, the Lord may pardon him; but if a man offends against God, who can obtain pardon for him?” But they ignored their fathers plea (I Samuel 2:21-25). For this, Eli is informed that his family would lose its exalted position and would be cut off from the benefits of the priesthood. The consequence would not immediately go into effect - perhaps so Eli could continue the important work of raising Samuel, but would begin, he was told, on the day that Hophni and Pinchas die. Several years passed until this occurred. When Eli was 98 years old, and the Israelites were at war with the Philistines, it was reported to him that both of his sons had been killed in battle and that the Ark of the Lord had been captured. Out of distress, Eli fell off of his seat, broke his neck and died. At the same time, his daughter-in-law, Pinchas’ widow, gave birth to the new generation that would feel the actual consequences of God’s reprimand (Ibid. 4:1-19). Jewish parenting supports strong guidance from parents. It is impossible to imagine what the thoughts of Rudi Victor Ball were when high ranking Nazi officials asked him to rejoin his German ice hockey teammates and play for Germany in the 1936 Olympic Games. Aware of the growing anti-Semitism in Germany, Ball had left Berlin and its SC Berliner ice hockey team in 1933 and joined the Swiss League playing for St. Moritz. So what drew him back to Germany to be the only Jewish athlete among Germany’s Olympians? First a little background: Rudi Ball was born in Berlin in 1911 to a German father and Lithuanian Jewish mother. During his childhood, hockey was still a fairly new sport in Europe, and he did not even see his first hockey game until he was 15. Within a couple of years, he debuted on SC Berliner’s second line. His two brothers, Gerhard and Heinz, also took up the game and, by 1929-30, all three were among Germany’s top players. At 5'4" and 140 lbs, Rudi was shockingly fast and skillful. He gained international notice and was considered a premiere European player. After the Ball brothers moved to St. Moritz, they went on to play for Diavoli Rosso Milano (Milan, Italy). As the 1936 Olympics approached, Germany selected the players for its national team and deliberately ignored Ball. However, Gustav Jaenecke, Germany’s only other star player and one of Rudi Ball’s close frends, refused to play without him. The Germans, for whom Olympic victory was supremely important, recognized that they had no chance in ice hockey without Jaenecke and that Bell would be a critical asset. Rudi agreed to play for Germany with one stipulation - that his parents be allowed to emigrate. The Germans finished 5th in Olympic hockey in 1936, because Rudi Ball ended up playing with an injury. The Nazis kept their end of the bargain and the Balls moved to Johannesburg, South Africa. 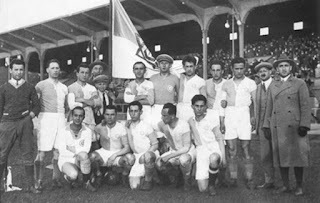 Rudi continued to play for SC Berliner until 1948, when he moved to South Africa. Ball passed away in 1975, He was posthumously inaugurated into the International Ice Hockey Federation Hall of Fame in 2004. Make it a habit to call your family and build your relationship. 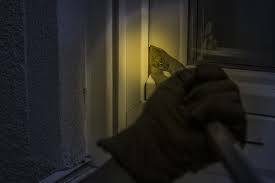 A burglar is, by definition, one who commits the act of breaking and entering a dwelling at night with the intent to commit a felony. This definition is very important in order to understand what the Torah has to say about this particular type of crime. “If the thief is seized while breaking-in, and he is beaten to death, there is no bloodguilt in his case. If the sun has risen on him, there is bloodguilt in that case...” (Exodus 22:1-2). If a burglar is killed in the act of breaking and entering, the person who killed him is not held liable. The reason for this is explained in the Talmud: “Raba said: What is the reason for the law of breaking-in? Because it is certain that no person will be inactive where their property is concerned; therefore this one [the thief] must have reasoned, ‘If I go there, he [the owner] will oppose me and prevent me; but if he does I will kill him.’ Hence the Torah decreed, ‘If he come to slay you, forestall by slaying him [first]’” (Sanhedrin 72a). The very next verse, however, states that “if the sun has risen,” if there is light, then the balance changes. The sages saw the interplay of these two connected verses and explained that now, with the ability to see the intruder, one must try to determine the intentions of the burglar before reacting. “If it is as clear to you as the sun that his intentions are not peaceable, slay him; otherwise, do not slay him...If it is as clear to you as the sun that his intentions are peaceable, do not slay him; otherwise, slay him” (ibid). Finding a person in one’s home in the middle of the night is terrifying, and may be considered justification for responding with violence. The sages, however, offer a warning that before one reacts, one must carefully assess the situation to determine the true threat to one’s life. Arrange a cozy corner for some relaxing Shabbat reading. After the Torah was given, Moses served as the sole judge of the Jewish people until a judicial hierarchy was established at the suggestion of Jethro, Moses’ father-in-law. One judge was assigned to every hundred men. This judge could appeal, if necessary, to a higher court (a judge over a thousand). Only the most difficult disputes were brought to Moses for adjudication. The Great Sanhedrin was composed of 71 sages and served as both a judicial court and a legislative body. Little Sanhedrins, each composed of 23 judges, handled capital cases. The Batei Din (plural for Bet Din, House of Judgement), however, were the most common courts. They dealt with both civil law and religious law. A bet din is composed of three judges and is the only halachic judicial system that still functions today. Human beings are far too easily swayed: by the tears in a litigant's eyes, by the clothing of the accuser or the title of the defendant, or, God forbid, by outright bribery. Therefore, under the bet din system, even in minor cases, a majority decision is necessary. This Treat was last posted on June 4, 2009. Have a question on Jewish law? Ask a local rabbi. The Chassidic movement, which started with the Baal Shem Tov in the early 1700s, was known for its joyous attitudes, its focus on good deeds and the celebration of miracle makers. Whereas much of the Jewish world was focussed on rigorous learning, Chassidut focussed on a more personal relationship with the Divine. Rabbi Menachem Mendel Morgensztern, better known as the Kotzker Rebbe, brought these two worlds together. By the time he was 13, he had completed the study of the entire Talmud. Although his family was not Chassidic, he was drawn to this fairly new movement and became a student of Reb Simcha Bunim of Peshicha. When Reb Simcha Bunim passed away, many of his students chose Reb Menachem Mendel, now living in Kotzk, Poland, as their new rebbe. People are accustomed to look at the heavens and to wonder what happens there. It would be better if they would look within themselves to see what happens there. Do not be satisfied with the speech of your lips and the thoughts in your heart, all the promises and good sayings in your mouth, and all the good thoughts in your heart, rather you must arise and do. Beginning in 1839, the Kotzker Rebbe left his followers and went into seclusion until his passing on 22 Shevat 1859, at the age of 72. He was succeeded by his son, Rabbi David Morgensztern. The Kotzker Rebbe left no written works (and burned his manuscripts when they were completed), but, later, his teachings were collected and published by his students. Working on becoming a better person is an important Jewish value. Today’s Treat is brought to you by the Hebrew letter lamed and the number 30, as that is its value in gematria (a mystical system of understanding deeper meanings through numeric connections). The Twelfth letter of the twenty-two letter Hebrew alphabet, it shares the same sound as the English letter “L.” In its block print form (used in most printing), it is a unique letter that is easily recognizable as it stands taller than all the other letters. Lamed is special in more than just its appearance and its common usage within words. As with many letters of the Hebrew alphabet, it also stands as a preposition when used as a pre-fix. The letter lamed represents “to” and “for” - as in giving something to the woman or doing something for the man. It is also used when discussing a location to which something or someone is heading. Another unique lamed role is its use to signal the infinitive form. Every Hebrew verbs’s most basic conjugation is its infinitive form (e.g. to speak, to act, to write), and every infinitive in Hebrew starts with the letter lamed. So why is today’s Treat dedicated to the letter lamed and what is the significance of its connection to 30? Tonight is the annual Dinner of NJOP, the organization that brings you Jewish Treats. This year’s Dinner celebrates 30 years since NJOP was founded (as the National Jewish Outreach Program) by Rabbi Ephraim Z. Buchwald. Thirty is considered an age by which a person has reached maturity. They hopefully have an idea of where they are going in their lives and recognize a pathway toward growing success. Lamed’s connection to the mature 30, but also the preposition “to”/”for” and the basic verb infinitive form, teaches the lesson that this is the time to look forward toward where we are going and to work harder and take action. NJOP at 30 is an experienced educational organization that has made an impact on hundreds of thousands of Jews, and, through Jewish Treats, brings positive joyous, Jewish experiences to tens of thousands more. Having achieved 30 years, now is the time for NJOP and Jewish Treats to move toward the future with vigor. Today’s Jewish Treat will take a brief look at an unexpected location for Jewish history: Sri Lanka (formerly Ceylon). Located off the southern tip of India, Sri Lanka’s Jewish community today is based in a Chabad House in Columbo, Sri Lanka’s capital city. Despite the oral tradition of Sri Lankans that, as recently as World War II, Columbo actually had a synagogue that was referred to as “The Rotunda,” there is no record of its existence. A Jewish presence in Sri Lanka (Ceylon) has been traced back to the 10th century, when, according to reports from a Muslim correspondent, the king’s council consisted of four Jews among the sixteen advisers. Noted 12th century Jewish travel writer Benjamin of Tudela reported a community of 3,000 there. But the 16th century brought the Portuguese, whose conquest resulted in most of the Jewish community leaving, hiding or assimilating due to fear of the Inquisition. Unfortunately, after independence in 1948, a long-term civil war erupted. During this time, almost all of the Jews of Sri Lanka left for safer harbors. Today’s Treat is in honor of Sri Lanka’s Independence Day, which was yesterday, February 4th. When you curl up with a hot drink on a cold day, don't forget to thank God by reciting a blessing. If you’ve ever been in a synagogue and heard a bunch of congregants seemingly mumble something after the chazzan (prayer leader) recited a blessing and wondered what they were saying, and why, and when...then, hopefully, today’s Jewish Treat will provide you with an answer. The phrase that is recited is Baruch Hu U’varuch Shemo, which means “Blessed is He and blessed be His name.” It is recited in response to hearing God’s name in a blessing (after Baruch Ahtah Ah’doh’nai...Blessed are You God). There are, however, several caveats to its recitation. During a prayer service, there are certain sections of prayer when one is not permitted to interrupt except to say Amen, which is considered an obligatory response to a full blessing. Saying Baruch Hu U’varuch Shemo, while considered important and praiseworthy, is not obligatory, and, therefore, one would not interrupt during these parts of the service to recite it. One possible source for the custom of reciting Baruch Hu U’varuch Shemo is, according to Rabbi Asher ben Jehiel (aka the ROSH) as cited by his son, Rabbi Jacob ben Asher (aka the TUR) in his commentary on the Shulchan Aruch, the verse “When I call upon the name of the Lord, exalt our God” (Deuteronomy 32:3). Because the recitation of Baruch Hu U’varuch Shemo is to praise God after hearing his name, the phrase is generally not recited when one listens to a blessing that includes his or her fulfilment of a mitzvah, because then it is as if one is saying the blessing one’s self. For example, Kiddush is often recited only by one person at the Shabbat table, but fulfills the mitzvah for everyone present (click here for more on this concept). Only Amen is the proper response. It should be noted that there are some rabbinic authorities who do not feel that Baruch Hu U’varuch Shemo should ever be recited because it interrupts prayer and hinders one from hearing the blessings properly. When someone says a blessing, pay attention to hear the words. Get involved in exercise because taking care of your body is as important as taking care of your soul.